The old saying goes, ‘There is no such thing as bad weather, only inappropriate clothing’. For the autumn and winter collection Isadore went to Norway. Three days in a wild outpost far above the Arctic Circle the Slovakian brand rigorously tested the new autumn/winter 2017 collection. 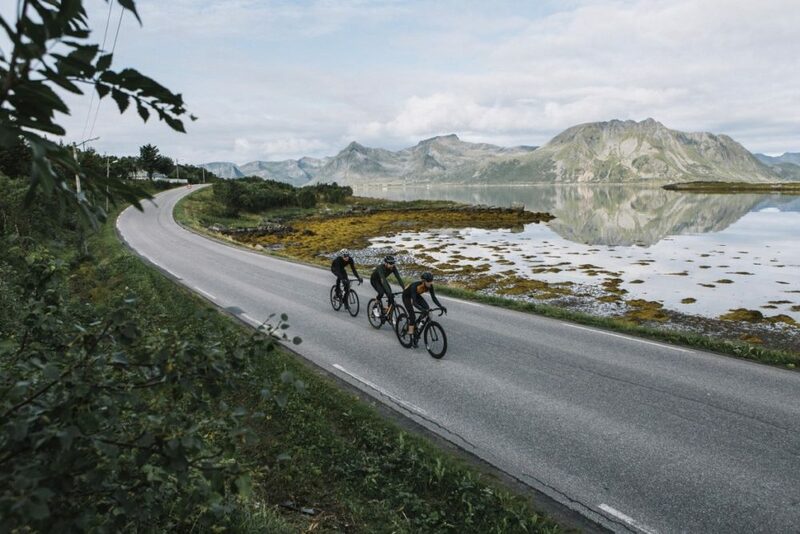 Over three days of cycling they met sun, rain, wind, across a couple of hundred kilometres on smooth roads, surrounded by deep fjords, mountains and long beaches. In Holland we know that you don’t have to travel to the arctic circle to test the autumn and winter collection. Cycling in our flat country, fully exposed to the wind and the rain will do the job too J. 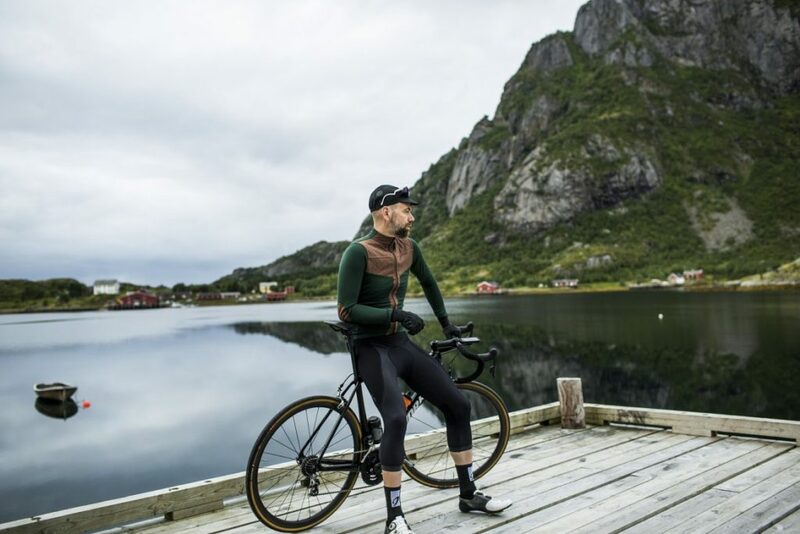 So when CYCLOsportive asked Isadore to sent the long sleeve jersey Sycamore (a versatile rain- and windproof jersey), they were more than willing to cooperate. For more than a month now I have tested the jersey in several conditions. I had my doubts. Will the merino wool keep me warm, and, more important, will it keep me dry? I have to say, Isadore took me by surprise again. We tested the summerkit earlier this season and I don’t want this review to sound too commercial, but bibshort and shirt are now my favorite cycling apparel. Well designed and perfect quality. My first ride was a two hour ride with a little bit of rain… Most of the time, rain doesn’t put a smile on my face. That was the case that day too. But with 13 degrees Celsius and a wool shirt that gets wetter and wetter by the minute, I was wondering why my arms and chest kept dry. Also important, the Sycamore jacket kept me warm enough. I say warm enough for a reason. It is hard to keep warm and not overheated or chilly when you are cycling in autumn and winter. It is important to keep your body at the correct temperature. Was I wearing the correct baselayer? Did the baselayer keep me warm or was it the jacket. Ofcourse I cannot be 100% sure. Fact is that my first ride was a positive experience. In Holland we say ‘One swallow does not make a summer’. What means that one ride is not enough for a positive test result. The second ride the weather was more kind to me. It was cold, the temperature dropped to 8 degrees Celsius, not a lot of wind and no rain. I was riding my bike in lovely sunny conditions. Does the jersey do the trick as well in this conditions? I can answer that question with a YES! Also in this colder conditions, cycling was fun. And that is what it’s all about. No matter what the conditions are, go out there and have fun! The jersey doesn’t keep me warm, it doesn’t make me cold. It kept my body just warm enough not to go sweating. I say it again, this is not an advertisement J but when a product is good, than I have to say it. Merino wool is perfect for the Dutch weather in autumn and winter. And what Isadore makes an even better brand to wear? It is fashionable. What? Yes, fashionable, although my wife thought I was a parkranger when I put on the Sycamore jersey. I couldn’t care less. With the brown pads on the elbows, brown part on the chest and details on the back, you can almost wear the jersey even when you are not cycling. It is well designed and differs from most of the cycling apparel. When you want something different and also good quality, than Isadore is a very good option for you. 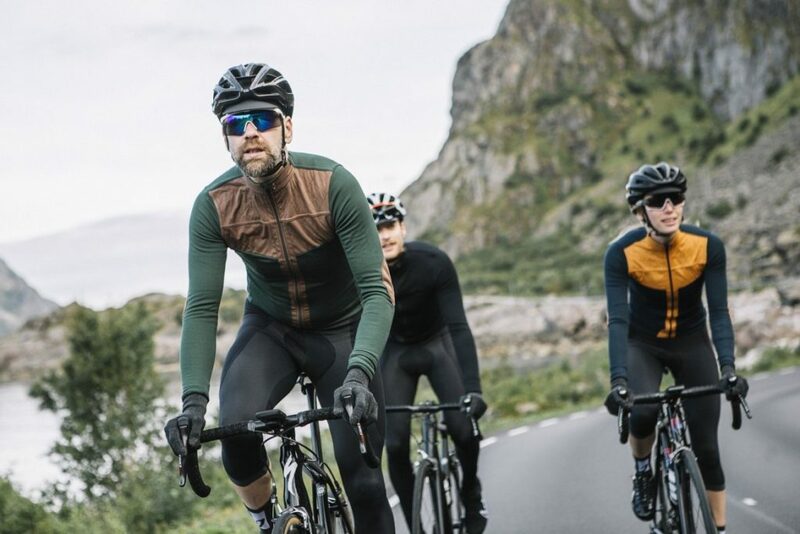 It is a Slovakian brand – manufacturer (Velits brothers and Co.), NOT Slovenian. thanks! I adjusted the mistake. Oeps!